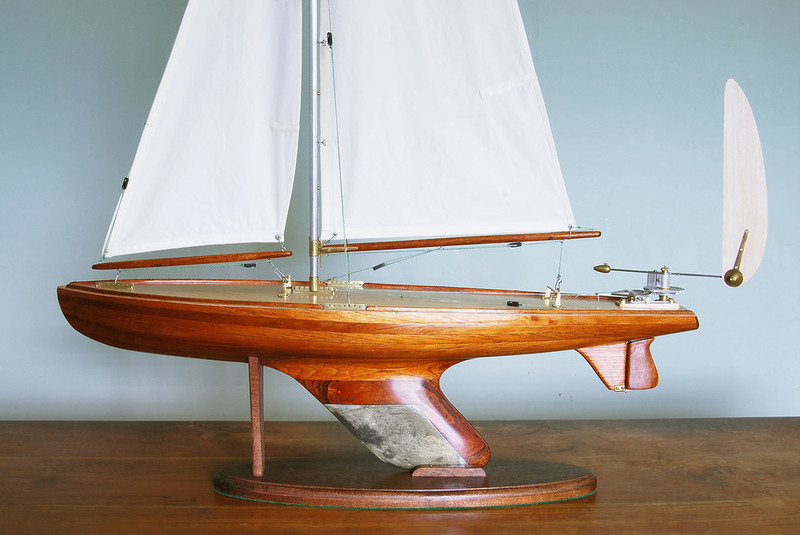 A classic wine glass 25in MM or Half Marblehead class racing yacht constructed using the plank on frame method in red cedar with an birch ply deck, red cedar toe rails and period brass fittings. 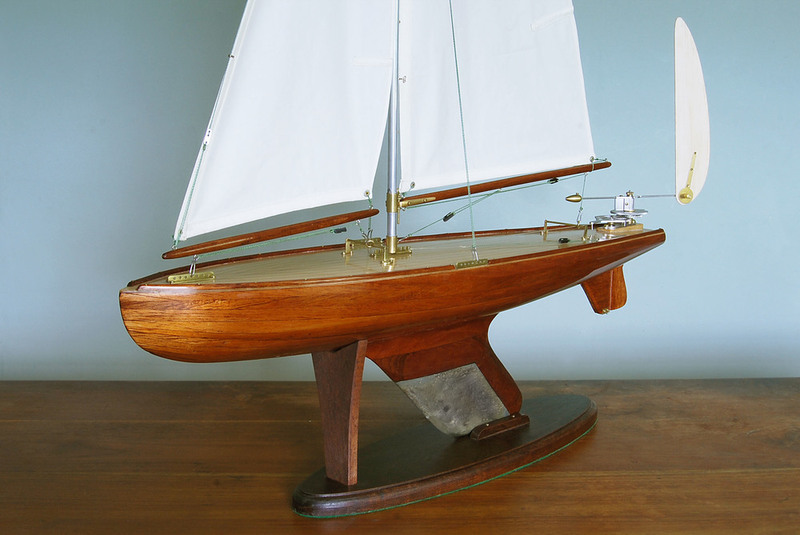 Her mast is aluminium, spars are made from red cedar and sails from cambric cotton. She is built for free sailing so fitted with our simple vane steering gear that will allow you to sail at all points of sail. 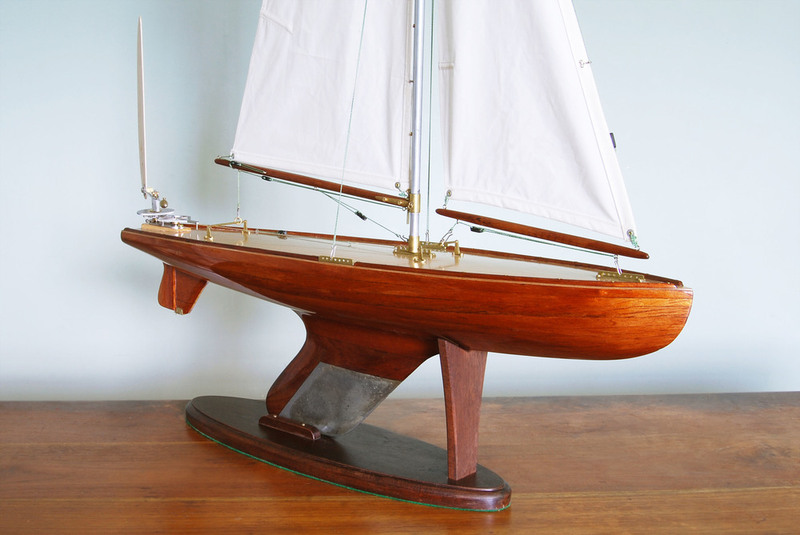 A lovely traditional racing yacht that always turns heads at the lake side. Comes with a hard wood stand and carrying case. This yacht is built to order so please feel free to contact us at our shop on tel no 01434 632713 or E mail us atgrovepondyachts@gmail.com for more details.